Battle Type Evolution Requirements Reppamon + Winning Percentage: 60%! Diatrymon + Winning Percentage: 60%! ■ Stack one of the face-up cards in the opponent's slots onto their point gauge. 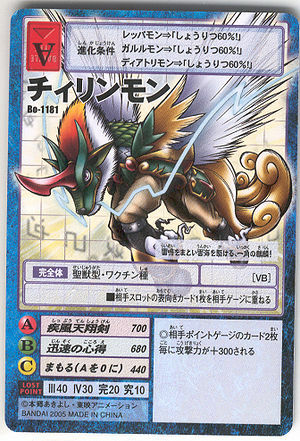 ◎For every two cards on the opponent's point gauge, add 300 to your attack power. This page was last modified on 27 October 2017, at 03:16.